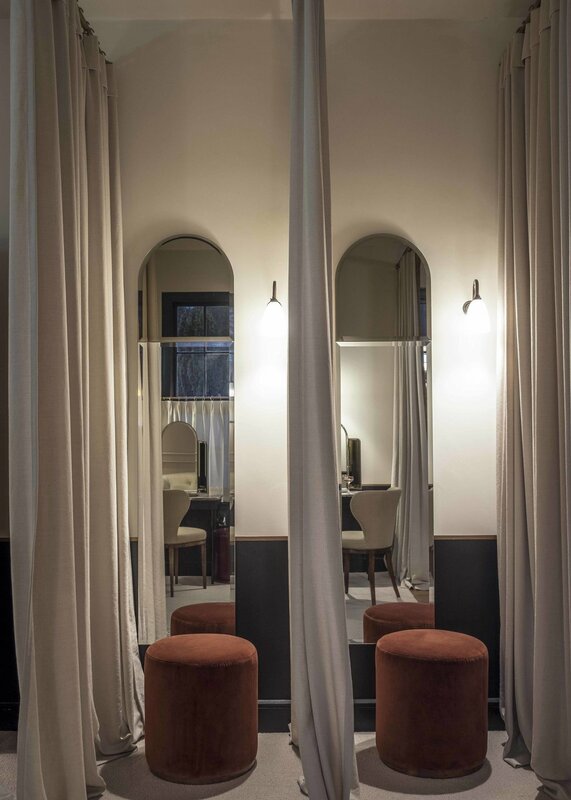 Bob & Cloche is a beauty parlour set in a lodge within The Gleneagles Hotel's grounds. Lind + Almond were commissioned by Ennismore to create an all inclusive destination beauty experience, which forms part of the extensive renovation that the hotel has undergone over the past years. The result is a glamorous 1930's inspired experience, which nods to the historical references of the hotel. With a hair salon, nail and pedicure bar, treatment rooms as well as a lavish lounge and dress up area, the ladies who visit the hotel are sure to be looked after.